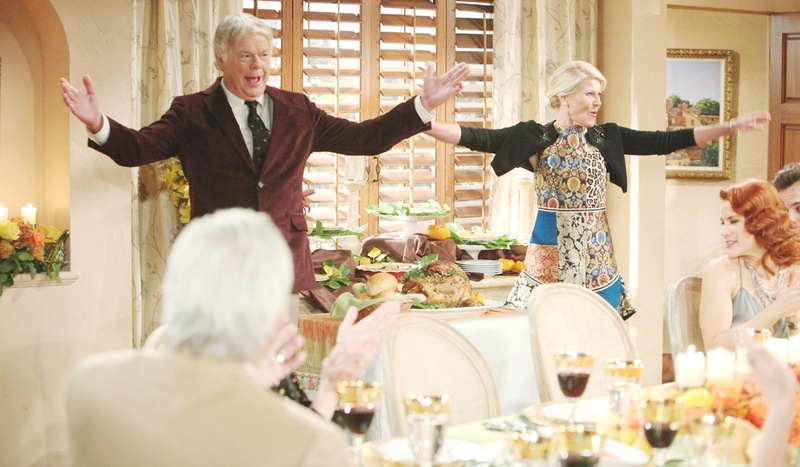 Wednesday November 21, 2018: Quinn puts Sally at ease, Eric is thankful for family, and Liam toasts Hope and Steffy as the Forresters, Logans, and Spencers mark Thanksgiving. At the Forrester mansion, Eric chortles to Pam and Charlie that he’s so grateful they do this for them every year. Brooke interjects, “With a little help from the Logans of course.” Quinn, beside Eric, politely greets Donna, who thanks them for having her. Hope stands with Steffy as they admire Liam holding Kelly and enjoying his first holiday for her. Steffy notes next year will be Hope’s daughter’s first Thanksgiving – maybe Kelly can show her the ropes! Xander arrives with Zoe, who is excited to be experiencing a real American Thanksgiving. Xander tells her she looks beautiful. Quinn spots Wyatt arriving and rushes over to greet him. Sally presents her with a bottle of wine and Quinn assures her she doesn’t have to be nervous – just make her son happy. Wyatt joins Liam to report that Bill’s spending the holiday with Justin and Emma, before canoodling with Sally – he’s grateful they’re together. Nearby, Ridge and Brooke share a kiss. As Eric disconnects from Felicia on the phone, he exclaims that next year, he wants everyone there. 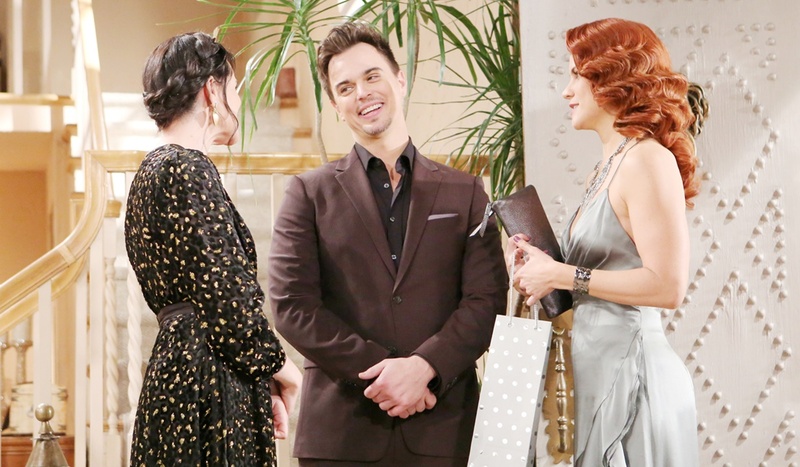 Hope and Katie watch Steffy and Liam with Kelly. Hope remarks that they’re great at co-parenting; she hopes they always will be. In the kitchen, Pam informs Charlie she’s cooked up a spicy little prank. She indicates which meatball Quinn should eat. In the living room, Will talks football with Thorne and Ridge. Charlie appears with the hors d’oeuvres and has to insist on Quinn trying a meatball. As Quinn grimaces, “It’s hot!” Pam appears, smiling and apologizing. Quinn glares. 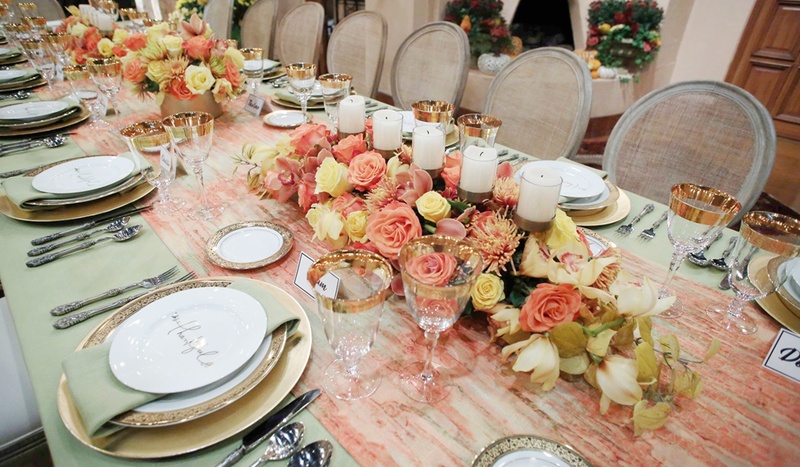 Once seated at the dinner table, Steffy announces it’s time for the Forrester family tradition. 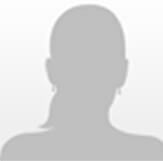 She starts by telling Xander he’s a great addition to the company, while he expresses pride in Zoe. She thanks Wyatt for making her feel welcome; he’s a good man, and Wyatt informs Sally she’s brought a unique energy to his life. They kiss. Sally admires Charlie’s artistry in the kitchen, and his passion for Pam. He expresses hope that Pam will one day be his partner in life. Pam turns to Quinn, remarks on Stephanie’s new, smaller portrait on the wall behind them – she’s thankful it’s too small for Quinn to put her foot through. She then thanks Quinn for welcoming them into her home for Thanksgiving. Quinn honors Eric; she’s grateful to be at his side leading the family. Eric says he’s grateful for all of them, before turning to Donna and expressing what a pleasure it is to have her back in L.A. Quinn watches Donna as she tells Katie how caring she is and how much she loves her. Katie has pride and love for Will, who then tells Thorne he makes his mom happy. Thorne contemplates Ridge and remarks on the new mutual respect between them; he appreciates his support. Ridge gushes about Brooke; destiny took its course. He kisses her. Brooke is thankful Hope’s her daughter and is proud of the woman she’s become and the example she sets. Hope admires Liam as a caring father, and breaks tradition by complimenting Steffy as well – she hopes their daughters will see her as an inspiration. Liam agrees, and notes Steffy also has a big heart. 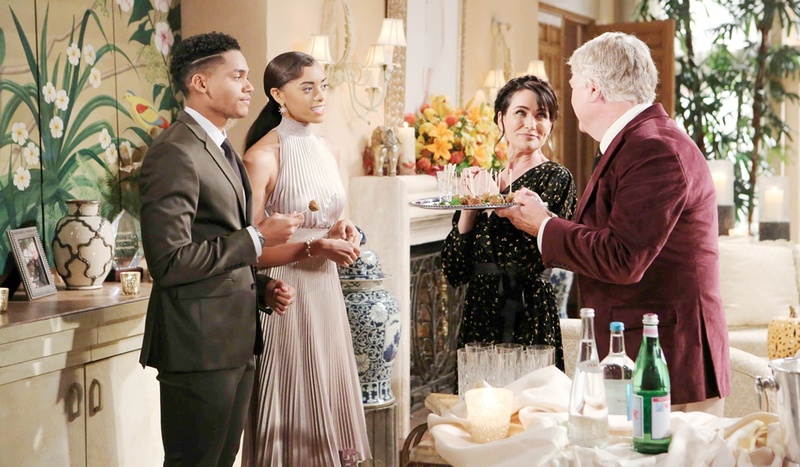 Steffy makes a heartfelt speech about feeling the love, and thanks Pam and Charlie as she shouts, “It’s turkey time!” During the meal, Liam toasts to Hope and Steffy – the two people he admires most. 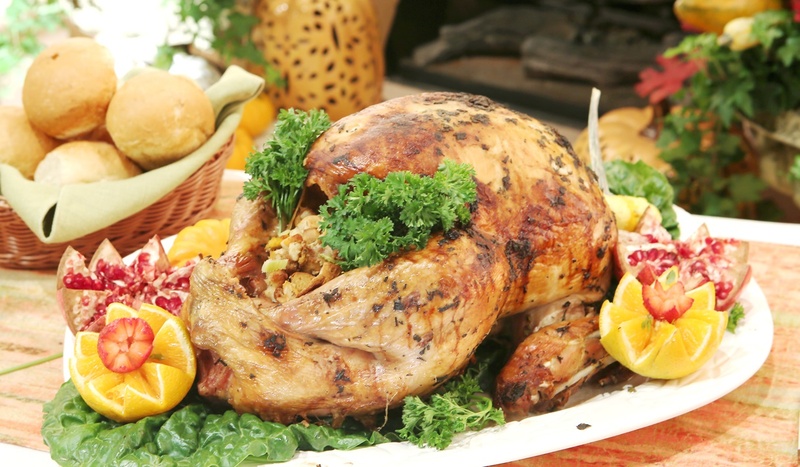 B&B is pre-empted for Thanksgiving NFL football.